The University of Bristol is denying that it discriminates against well-qualified applicants from independent schools. Bristol says it has about 39,000 applicants for 3,300 undergraduate places each year. So it has no choice but to reject very many candidates with outstanding qualifications, sight unseen - whatever sort of school they attend. But it does say it is likely to take a second look at apparently good candidates who come from bad schools. Bristol points out that a third of its students are from independent schools - which leads to state schools accusing it of being biased against their pupils. Some courses are even more oversubscribed than the average suggests. Economics, for instance, attracted 25 applicants for each of the 24 places on offer. One independent school, King Edward's in Birmingham, has queried Bristol's policy because a former pupil, Rudi Singh, was rejected last year despite outstanding qualifications. He is now at Cambridge. The school's chief master, Roger Dancey, said he was aware of at least five other similar cases - one from his school, two from its sister school for girls, and two from Bedford School. All had 10 A* GCSEs, four A grades at AS-level and were predicted to get As in their A-levels this summer. "You can't get a better portfolio of academic qualifications. Bristol has turned them down already," he said. "If they don't interview, and they don't seem to take any notice of academic qualifications, I would be interested to know what criteria they are employing to select their candidates." 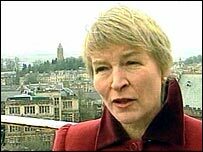 Bristol pro vice-chancellor Professor Patricia Broadfoot said excellent qualifications were the norm. "The problem we have is simply that we are a very small university with relatively small numbers of undergraduates. "We are also the most popular university in the country in terms of the numbers of applicants per place." She added: "What we try to do is get the students who have the best potential as far as we can judge it from their applications and inevitably of course we have to reject some very, very good students." Universities have come pressure from ministers to take more students from disadvantaged backgrounds. Having policies to do that will be a condition of their being allowed to raise their tuition fees from 2006. Bristol's communications and marketing director, Barry Taylor, said the university was "way short" of the proportion of state school applicants which the higher education funding council said it should take, which was more than 70%. It was - like every university - seeking to widen participation and had been doing so for years. One way of doing that was to encourage more students from state schools to apply - currently 63.4% of applicants are from the state sector. But also if an applicant was from a school with a generally poor academic record, and was predicted to get good A-level grades, he or she would be looked at carefully because it might indicate that they had exceptional talent. "Our admissions tutors do a sterling job in very difficult circumstances to make the right decisions," he said. "But many very able individuals have to be rejected." Its motivation was that it wanted to get the best students. "The motivation is certainly not to satisfy a political directive." 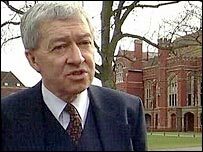 The Education Secretary, Charles Clarke, said he "neither approves or disapproves of any particular scheme" operated by universities. It would be wrong for the government to try to dictate admissions policy, which is why he had opted for an access regulator, he told an audience of academics at a conference in London. But Mr Clarke indicated he agreed with the underlying purpose of what Bristol was trying to do. "I think there's a lot of evidence that people who come in through non-traditional routes do very well and that needs to be acknowledged," he said. But Bedford School's headmaster, Dr Philip Evans, said that if universities were going to favour students from schools that usually did not produce pupils with high enough grades, it took away the incentive to improve. "Giving easier offers to candidates of schools with poor academic results is wrong. "It says to poor schools that there is no need to improve and to good schools that their efforts are counter-productive."